Progress Bar: contains separate bars which are pseudo-elements and have separate attributes for a single bar. 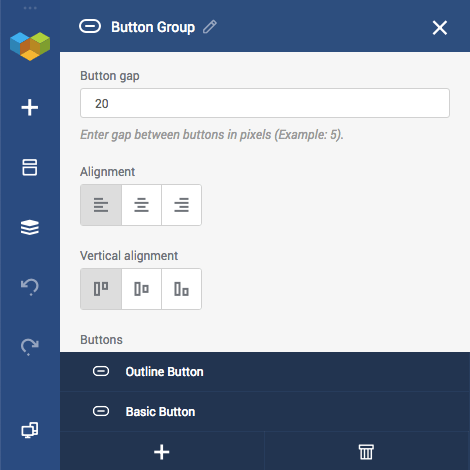 Group elements are no different than any other Visual Composer content elements and can be downloaded from the Visual Composer Hub. 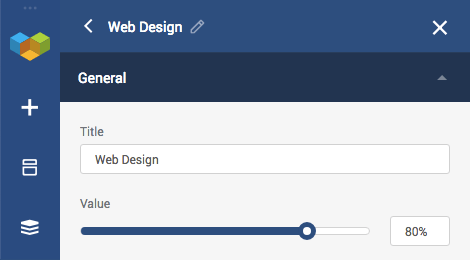 The only difference is that upon editing of the group element you will see a Tree View displayed inside the edit form of the element. Every single entry of the Tree View is a separate element or pseudo-element that can be edited, cloned or deleted. In some way, Group elements are similar to Advanced Content Elements. Once you select the edit of the inner element, you will open a separate edit form with attributes related to the inner element. Note: In order to get back to the group element, click on the ‘Back’ arrow displayed next to the element icon of the edit form.